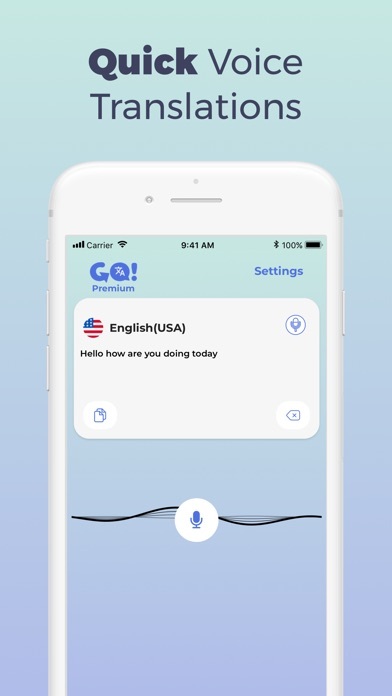 Go Translate is the world’s fastest and easiest-to-use translation and dictionary app. 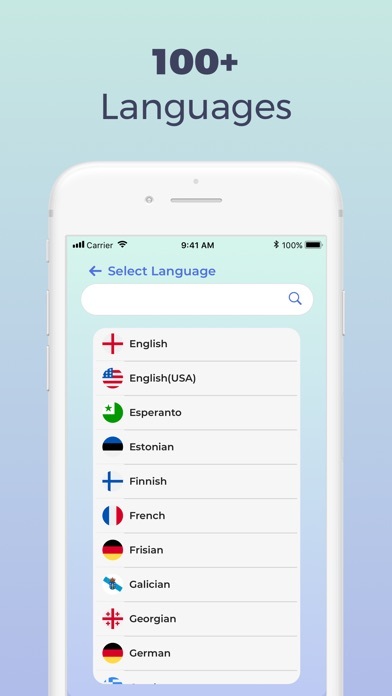 Instantly and easily translate text and voice in 100+ languages. Get Go Translate and start translating today! 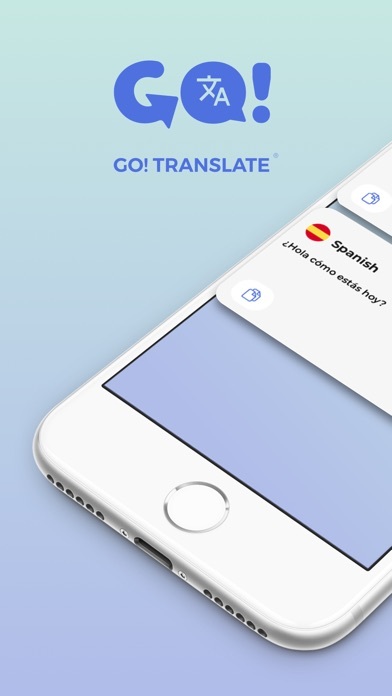 Go Translate is multilingual! It supports 100+ languages for translations. It’s completely up to you to translate what you need: text or voice. Go Translate is a great listener! It has a smart speech recognition technology that recognizes what you’re saying even in the toughest and noisiest situations. Go Translate is a huge time saver! It is an extremely fast translator with its instant translation technology. You will start seeing your translations on the screen immediately as you type. Go Translate is the user’s best friend! It has a very user friendly interface and it had only one thing in mind: getting your translations done fast! Go Translate is not needy! You can start using Go Translate right away without having to sign up, register or enter your credit card. Afrikaans, Albanian, Amharic, Arabic, Armenian, Azerbaijani, Basque, Belarusian, Bengali, Bosnian, Bulgarian, Catalan, Cebuano, Chinese, Corsican, Croatian, Czech, Danish, Dutch, English (UK), English (US), Esperanto, Estonian, Finnish, French, Frisian, Galician, Georgian, German, Greek, Gujarati, Haitian Creole, Hausa, Hawaiian, Hebrew, Hindi, Hmong, Hungarian, Icelandic, Igbo, Indonesian, Irish, Italian, Japanese, Javanese, Kannada, Kazakh, Khmer, Korean, Kurdish, Kyrgyz, Lao, Latin, Latvian, Lithuanian, Luxembourgish, Macedonian, Malagasy, Malay, Malayalam, Maltese, Maori, Marathi, Mongolian, Myanmar, Nepali, Norwegian, Nyanja, Pashto, Persian, Polish, Portuguese, Punjabi, Romanian, Russian, Samoan, Scots Gaelic, Serbian, Sesotho, Shona, Sindhi, Sinhala, Slovak, Slovenian, Somali, Spanish, Spanish (Mexico), Sundanese, Swahili, Swedish, Tagalog, Tajik, Tamil, Thai, Turkish, Ukrainian, Urdu, Uzbek, Vietnamese, Welsh, Xhosa, Yiddish, Yoruba, Zulu. - 7-day free trial: free of charge, no commitment, cancel anytime. - Length of subscription: one year or one month. - Price of subscription: one-year plan: $39.99/year; monthly plan: $6.99/mo. - Subscriptions may be managed by the user and auto-renewal may be turned off by going to the phone settings after purchase. Few bug fixes and improved UI experience.